Rohit Shetty and Ranveer Singh have worked last year during a brand endorsement film. Recently the two announced their first film together, an action movie. Rohit has now confirmed that portions of the film will be inspired from Junior NTR's hit Telugu film Temper. Rohit Shetty will soon begin the promotions of Golmaal Returns. 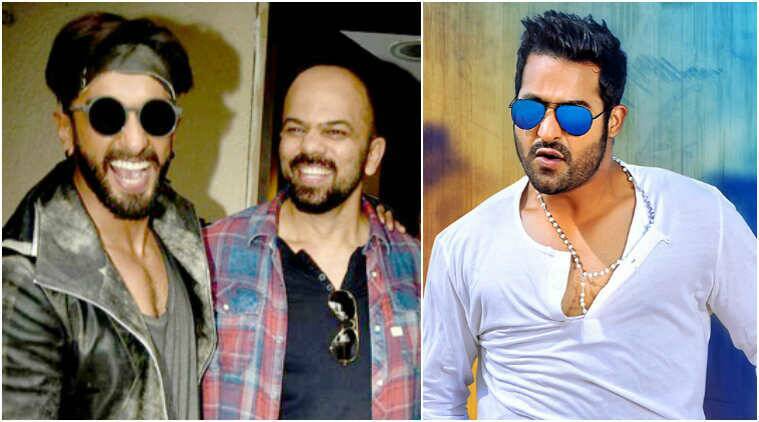 Spilling the beans on his upcoming maiden collaboration with actor Ranveer Singh, director Rohit Shetty has shared that the movie will feature a few scenes from Junior NTR’s Temper. Rohit has already acquired the rights of the Telugu hit film. The filmmaker, however, refuses to call his untitled movie a remake of Temper and asserts that it’s just the idea that he has borrowed from the action film. “We have bought the rights of Temper but our film is not exactly a remake. We wanted to take four-five scenes from Temper but we thought it’s better to buy the rights. It’s what we did with Singham. Our film was different from the original Singham except a few scenes. Here also, we have written our own film taking the exact idea,” Rohit said in a group interview. The fact that his film takes the idea from Temper naturally calls for comparisons between the two movies but the filmmaker is least bothered about that. “Comparisons are inevitable. Which film releases nowadays without controversy or comparisons? So, that’s not an issue. We don’t want to hide anything so we are clearly saying that yes, we have bought the rights. I don’t think that would happen with me because I have done Singham and nothing of that sort happened with it,” he said. The film will go on floors in May next year. The director, who is now gearing up for the promotions of Golmaal Again, is yet to write the final draft of the film with Ranveer. In the same interaction, he refuted reports that Kajal Aggarwal has been signed opposite Ranveer. Only recently, Ranveer’s spokesperson refuted reports, that the actor is turning producer with this Rohit Shetty film. Ranveer, who is currently busy with Sanjay Leela Bhansali’s Padmavati alongside Deepika Padukone and Shahid Kapoor, will be seen doing a lot of action in Rohit’s directorial.